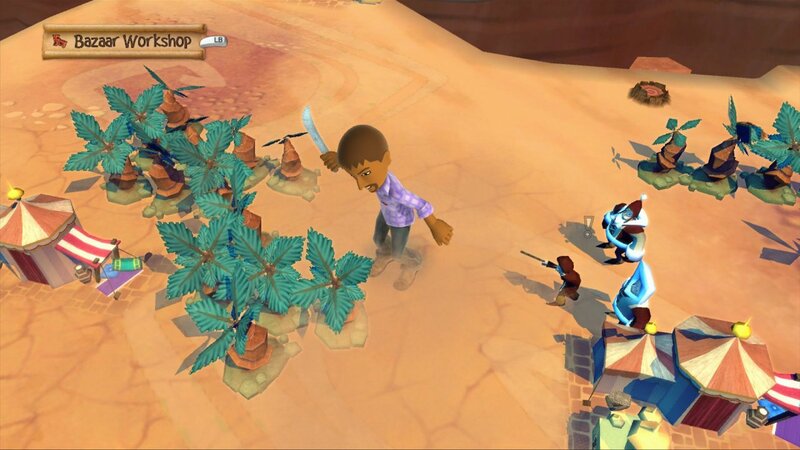 Set to release sometime before the end of the year, Ninjabee’s A World of Keflings continues the construction-oriented, avatar-enabled gameplay A Kingdom of Keflings brought to Xbox Live Arcade two years ago. The series involves story-based kingdom-building to house, appease, and please the titled-inhabitants of the world. The Fantastic Fest demo starts with the Keflings and an avatar freezing a bit in an ice setting. The Keflings are quick to make their desire to build a fire pit for warmth apparent, which launches a bit of a tutorial of the basic mechanics of the game. Simply put, you’re given a blueprint of items needed to construct a requested building or structure and are immediately off to mine resources to store in a work house. From there, those resources can be taken to a work house for storage. A person can do all of this themselves or enlist Keflings to the task by picking them and dropping them by the mining locations. Once they’ve mined a resource they will take them to the work house where a needed item made. Creation of the buildings and structures is a very basic pattern-following. Basic to the point, one wonders if it’s even necessary for the game to hint toward where specific items need to be placed within a tiled-pattern as you are placing them as it does. One assumed this was put in place for young children and frankly shudder to think my 6-year-old nephew would have any problems with that level of memorization. 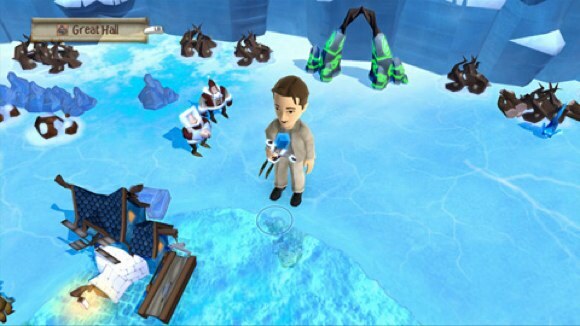 Certain twists in the process do come in needing to find certain objects in the environment, (like snowmen and love, shown as hearts), in the first level of the demo. Also there are moments requiring the use of avatar emoting. At a certain point in the demo, a dragon appears endangering a building which requires a special emote being used to scare away the creature. Again, it is a simple process using the D-pad, but it does add to the story element being presented to the game. Emoting isn’t just available in story-specific situations. Certain emotes can be done at anytime to have the avatar express some emotion. One can also be a complete jerk by kicking the small defenseless Keflings if one should choose. What level of complexity available in the game as it progresses remains to be seen, but so far it masters its fairly simple mechanics well and appears well put together as a more basic kingdom-building and crafting game.